We all know what anxiety is. That feeling that arises when we react to perceived threats. Some people experience it daily and intensely. Others experience it occasionally. It is actually a normal and healthy human emotion that can propel us into action. However, the problem is when it can get out of control and become destructive, taking away our quality of life. The author and spiritual teacher Eckhart Tolle has a very useful way of understanding what anxiety is and how to deal with it when it arises. He refers to the concept of the “pain-body”, which is an old emotional pain living inside of you. It may have accumulated from past traumatic experiences and sticks around because these painful experiences were not fully faced and accepted the moment they arose. 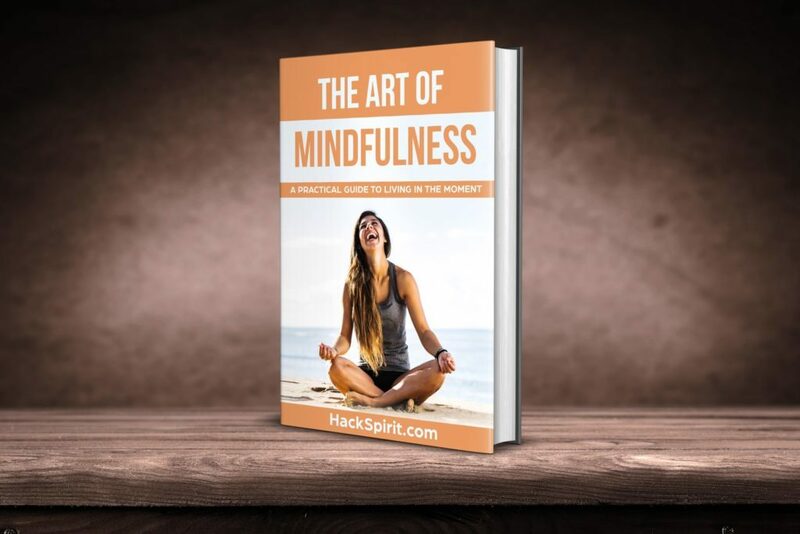 By understanding the pain-body and how to accept your experience in the present moment, you’ll be much better able to deal with anxiety and live a much better life. This is everyone’s job in this life. We need to be there and recognize our pain-body when it shifts from dormant to active. At that moment, when it takes over your mind, the internal dialogue we have – which is dysfunctional at the best of times – now becomes the voice of the pain-body talking to us internally. Everything it tells us is deeply influenced by the old, painful emotion of the pain-body. Every interpretation, everything it says, every judgement about your life and what’s happening, will be totally distorted by the old emotional pain. If you are alone, the pain-body will feed on every negative thought that arises and get more energy. You end up thinking about things for hours, depleting your energy. How can we be present and catch our pain-body at an early stage, so we don’t get drawn into it depleting our energy? The key is to understand that little situations trigger enormous reactions, and when that happens be present with yourself. You need to create space inside yourself for the pain-body, and then remove yourself from that space. Be present with yourself, and look at the situation from a detached place. How can we go about becoming an “observer of the mind”? At one of his retreats, Tolle revealed a simple exercise to become an observer of your mind and let go of your thoughts. The gentleman asks Eckhart Tolle how to strike a balance between letting go of thoughts in the mind without getting annoyed when the thoughts come back in the mind. This is a common struggle for many of us, so I think Eckhart’s response is very helpful. 1) First, avoid yourself from giving too much input to your mind. A great test is to do this when in conversation with others. 2) When in conversation with someone, try to listen 80% of the time and speak only 20% of the time. 3) While listening, feel your inner body. 4) One strategy to do this is to be aware of the energy you feel in your hands. If possible, try to also feel the energy in your feet. 5) Feel the aliveness in your body, while continuing to listen. 6) This helps you become more aware of your body and the information you’re receiving, as opposed to your thoughts. I think this is an excellent strategy. In fact, there’s a scientific reason why this works in getting your mind to focus more on the present moment. A 2007 study by professor Norman Farb at the University of Toronto found that humans have two different sets of networks in the brain for dealing with the world. The first network is for experiencing your experience. This is called “the default network”. This network is activated when not much is happening and you begin thinking about yourself. It’s the network involved in planning, daydreaming and ruminating. It holds together our narrative about the world. The second network is called “direct experience network”. When the direct experience network is active, it becomes a whole other way of experiencing experience. When this network is activated, you are not thinking intently about the past or future, other people, or even yourself. Rather, you are experiencing information coming into your senses. For example, if you are in the shower, this network is activated when you notice the warmth of the water hitting your body. The interesting thing is that both these networks are inversely correlated. If you have an upcoming meeting while washing dishes, you are less likely to notice a cut on your hand, because the network involved in direct experience is less active. You don’t feel your senses as much. Fortunately, this works both ways. When you intentionally focus your attention on incoming sensory data, such as the feeling of the water on your hands while you wash, it reduces activation of the narrative circuitry. Therefore, whenever you intentionally activate your direct experience network by using your senses, you’re reducing activity in your default network, which is involved in overthinking. This is why meditation breathing exercises can work when you’re overthinking, because you focus your attention on the sensory experience of your breathe. This is why Eckhart Tolle’s strategy is so brilliant to reduce getting lost in your thoughts.